1. I ‘m looking for a new printer, what should I be looking at as far as price and cost of ownership? Don’t look for a cheap printer. It is the cost of feeding and caring for your printer over the long run you should be your focus. You are absolutely correct, Ford can’t tell you where to buy gas in the same token, printer manufactures can’t tell you what to use in your printer. Federal Law 93-637 of, January 4, 1975, Section 102, Part C (Sherman & Clayton Antitrust Acts), and Title 15 US Chapter 50, Section 2302, states that it is ILLEGAL for an equipment manufacturer to void a warranty due to the usage of a remanufactured or compatible supply product. However, service companies can deny that service to your printer on the grounds that they can choose who they provide or not provide service to (It is a free country, but that works both ways). If such a company should deny you service because of this, simply find another service company, there are many in your area that would be happy to provide you with service. 3. What is a “starter cartridge”? Many printers come with a starter, cartridge(s). These are cartridges are low yield and run out very quickly. 4. Why are ink cartridges so expensive? Simply put, this is where the printer manufactures make their money. This is also why they spend so much time and effort marketing their OEM products to their customers. We believe that these high costs are obscene, and we’re in business to help you SAVE BIG BUCKS on the high cost of your supplies. 5. 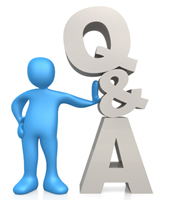 What is the difference between a remanufactured toner cartridge and a refilled one? To properly remanufacture a toner cartridge, it needs to be disassembled and thoroughly cleaned and inspected. Worn components need to be replaced. Then the cartridges are reassembled, filled with the correct toner, and tested. All of our remanufactured toners have new drums. A refilled toner is one in which new toner is poured into the cartridge with minimal or no disassembly or cleaning. No parts are replaced. At the extreme is “drill and fill”, in which a hole is made in the cartridge (with a drill or hot iron), toner is poured in, and the hole is sealed. 6. I bought some refilled ink cartridges on the Internet and they didn’t work. What makes yours different? That’s not uncommon. There are some very good products available on the Internet and also a lot of junk. The attention to detail in our processes and the extent of our testing help ensure that our ink refills are of the highest quality. 7. Do you test ink cartridges after you fill them? 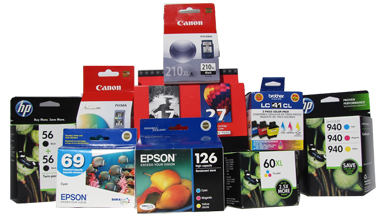 Every ink cartridge goes through a comprehensive print test prior to delivery to you. We test by printing from a computer. We do not use the quick print test that can be run directly from many printers, as this does not thoroughly test your cartridge and ensure that it will print properly. 8. I didn’t use my inkjet printer for 6 months, and then it printed blank pages. What’s wrong? It’s very possible that the ink has dried up either in the cartridges and/or in the printer. Your printer may have a cleaning cycle that you should run (perhaps several times). In printers that use cartridges with integrated print heads (most HP, Lexmark, Dell, and some older Canon), then the cartridge may have dried up. Try cleaning the print head by pressing a damp paper towel to it for a few seconds. Let it dry and then try printing again. If that doesn’t work, you will likely have to replace your cartridge. For Epson, Brother, and most Canon printers that use ink tanks, it may be that the cartridges alone have dried out, but it is also very possible that ink has dried up in the print heads. You can try running the cleaning cycle one or more times. If that doesn’t work, you may have to replace the print heads, which can be costly or not economically practical. 9. My printer isn’t working. Does it make sense to have it fixed? It depends. As prices of machines have come down, you will need to assess the value in spending money to fix them versus just buying new. Plan on $80-$120 per hour for labor plus parts. Don’t necessarily go by what you originally paid for your machine, as replacing it today will likely cost much less. But many printers and copiers are clearly worth fixing. 10. What is a drum? Drums are what actually lays toner on the paper. Some toner cartridges have integrated drum units, including those used in most HP and Lexmark printers. When you replace the toner in these machines, you are also replacing the drum. Some machines have separate drums, including many Brother, Sharp, Xerox, and other manufacturers’ equipment. You will need to periodically replace the drum unit in these machines. 11. I bought a refill kit once to fill my cartridges and they didn’t work. Why should I try yours? We’re really good at it. We fill hundreds of cartridges every month. And if you’re not satisfied in any way, you can return your purchase for refund or replacement – your choice, not ours. 12. Do you sell Dell cartridges? You can only purchase new Dell cartridges from Dell. We do refill all of the Dell inkjet cartridges and we carry some remanufactured Dell inkjet and toner cartridges. 13. If I only print in black, do I need to have color cartridges in my inkjet printer? It depends. Some printers will work with only a black cartridge; others will not. In general, we have found that HP, Lexmark, and Dell inkjet printers will work with one cartridge, while Epson, Brother, and Canon printers require all cartridges to be present. Also, Epson and Brother printers usually will stop printing if any one of the cartridges is empty. 14. Can I turn off the color if I want to print only in black? With most printers, you can. Go to File/Print and click on the Preferences button. Then look for an item that says “grayscale”, “black only”, or something similar.